Picadillo is an essential recipe for a Latin kitchen. 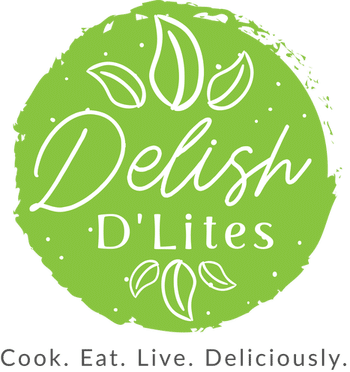 It’s not only a delicious and fast dinner option, but it’s the typical stuffing/filling for many delish Latin dishes, like rellenos de papa, pastelon, and empanadas! 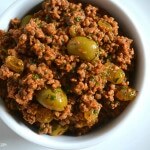 This picadillo recipe is very versatile, and I think it’s the perfect combo of sweet and savory. 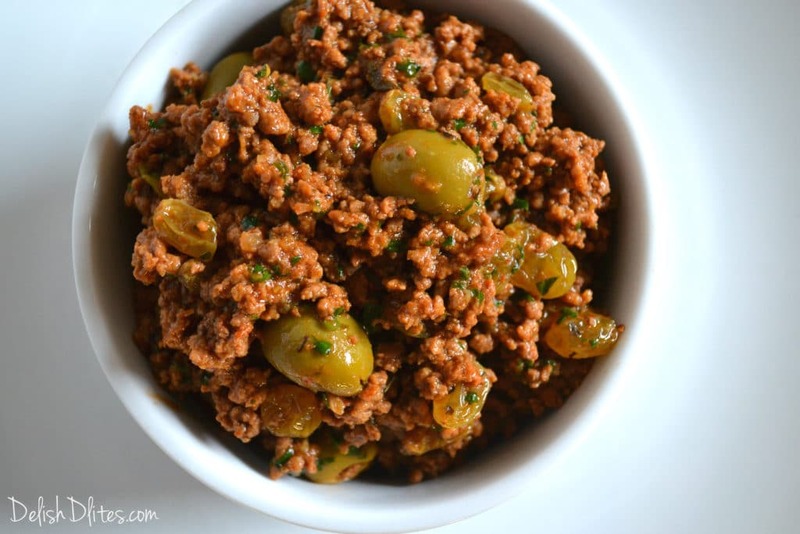 The Cuban flair comes from the addition of plump raisins, which add a chewy sweetness that balances with the tangy olives and savory beef. The raisins are my husband’s favorite part, he just can’t get enough of the sweet and salty combo! 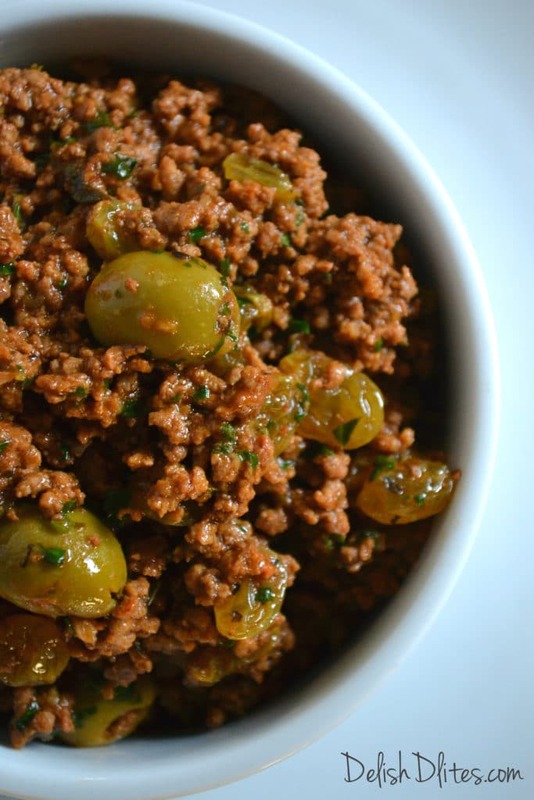 Picadillo is really a one pot wonder with a ton of flavor, and it’s ridiculously easy to make. This is also the perfect recipe to start with if you’re looking to dabble with Latin flavors and spices in your kitchen, so go for it! 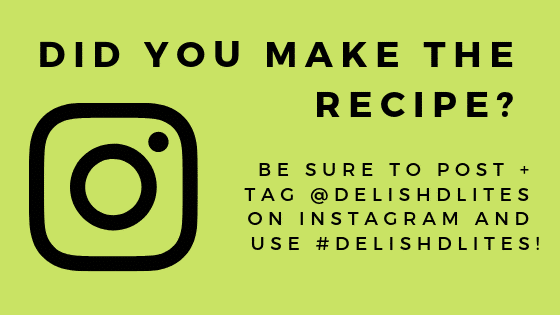 Feel free to make this recipe with ground turkey, chicken or even lamb! Heat a saute pan on medium heat. Add the oil and the sofrito. Saute for 1 minute, until the sofrito becomes fragrant. Add the ground beef into the pan, and cook until it’s no longer pink. 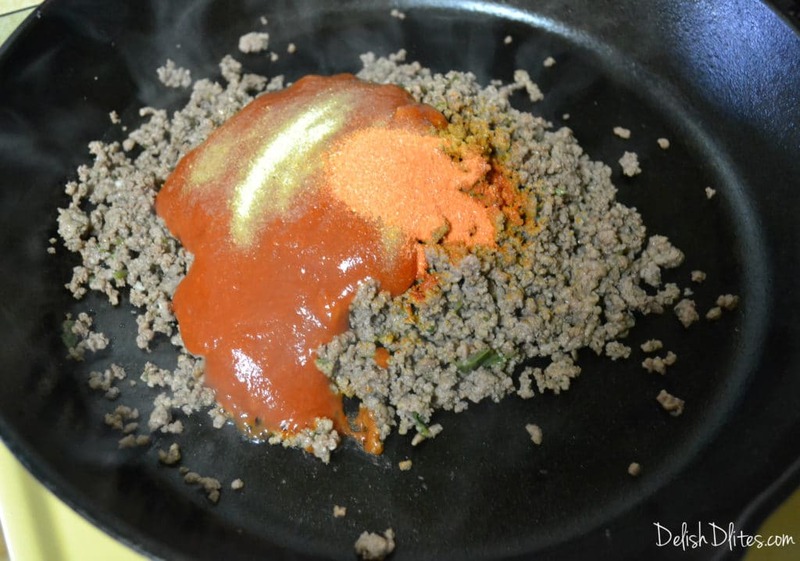 Season the cooked ground beef with the adobo, sazon, tomato sauce, cumin and oregano. Add 1/4 cup of water, the raisins and the olives, then lower the heat to simmer and let the mixture stew together. After 10 minutes, turn off the heat and stir in 1/4 cup of chopped fresh cilantro. Feel free to make extra, picadillo freezes beautifully! Heat a saute pan on medium heat. Add the oil, and the sofrito. Saute for 1 minute, until the sofrito becomes fragrant. 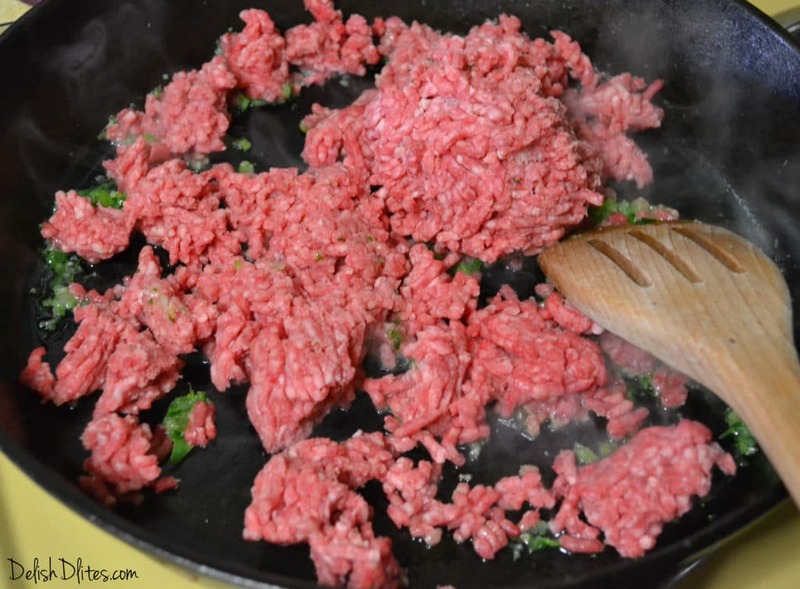 Add the ground beef into the pan, and cook until it's no longer pink. 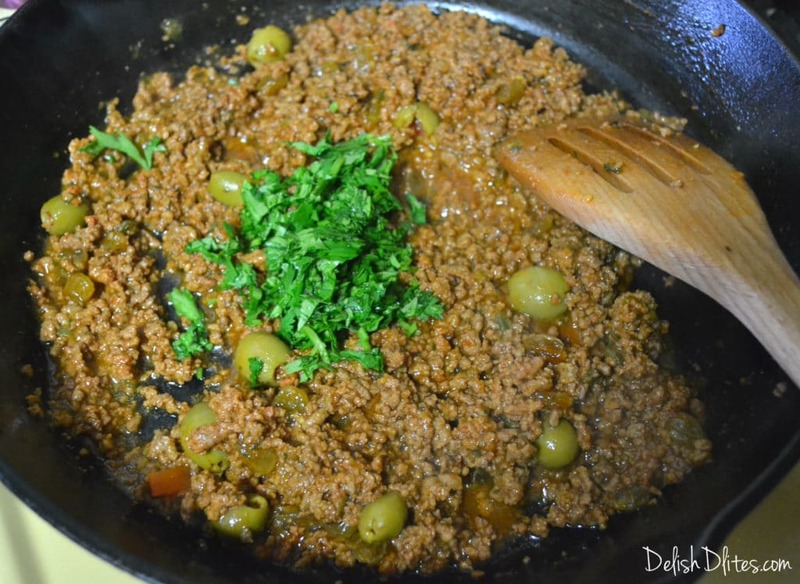 Season the cooked ground beef with the adobo, sazon, tomato sauce, cumin and oregano. Stir the mixture together to distribute the spices. Serve hot, or freeze for later use.